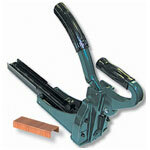 The Bostitch P50-10B pneumatic plier stapler is recognized as the best in the industry for this particular tool. 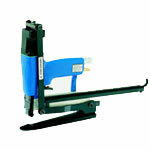 Pnuematic plier staplers are used to assemble corrugated trays and carton sidewalls with a medium crown staple. The P50-10B is both rugged and powerful. 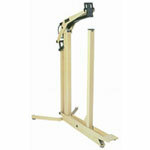 It is so powerful that air pressure needs to be down regulated to below 50 psi. 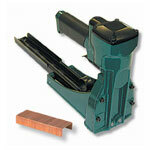 The compression of multi-wall corrugated is excellent and a 5/8" SB103020 staple can penetrate most applications. 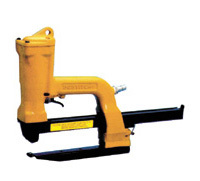 At Boatman Marking we handle a full range of Bostitch air staplers including the P50-10B.